Looking for the best night creams? Here's the list of 10 best anti-wrinkle night creams for 2019. What You Need to Know about Anti-Wrinkle Night Creams? Anti-wrinkle night creams are topical products that help fight one of the first signs of aging. As we age, our skin becomes thinner, loses some of its elasticity, and starts to wrinkle as a result. Anti-wrinkle night creams were designed to reverse some of these signs of aging. They do so by boosting collagen production or simply by moisturizing the skin. Unlike day creams that protect the skin from outside damage, night creams work by nourishing and repairing the skin. Thanks to our advancements in our understanding of how the skin functions and ages, scientists were able to develop night creams that do wonders for the skin. While anti-wrinkle night creams may not provide the same results as Botox, they are still a great option for women looking for a less invasive approach to reducing the appearance of wrinkles. How Anti-Wrinkle Night Creams Helps for Younger Looking Skin? How To Use Anti-Wrinkle Night Creams? What to Consider When Making Choice about Anti-Wrinkle Night Creams? Are Anti-Wrinkle Night Creams Really Effective? With so many night creams on the market, it can be difficult to find a product that you know will work for you. It is generally hard to find a cream that will address all your concerns and not cause any additional skin problems. To help make your choosing easier, here is a list of top 10 night-creams for 2019 all of which are carefully reviewed. Suvoderm is cream that was developed by Solvaderm, a company manufacturing and selling pharmaceutical-grade skin care. 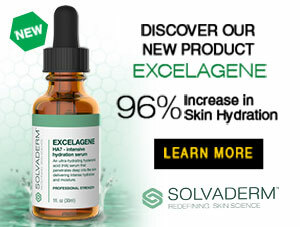 All Solvaderm products were carefully developed by a team of scientists and dermatologists and they are free of potentially harmful ingredients such as parabens, perfumes, and dyes. This is also the case with Suvoderm, an anti-aging night cream containing several nourishing and rejuvenating ingredients. The product is relatively affordable, especially when you compare the price of Suvoderm to some of the competing dermatological products currently on the market. Solvaderm also offers a 90-day guarantee on the purchase of Suvoderm; thus creating a risk-free opportunity for an individual to purchase the product. 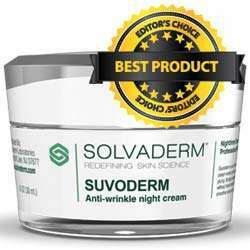 The active ingredients that make Suvoderm a top-rated anti-wrinkle night cream include Avocado Oil, Retinol, Vitamin E, Soybean Oil and Hyaluronic Acid. Other ingredients have also been included to deliver more benefits to the user’s skin. Suvoderm has been developed to address all of the most common issues that people complain about when they start to notice the signs of aging appear on their face. Suvoderm should be applied before going to bed, and after using a gentle cleanser to remove dirt and dead skin cells from the skin. Read more about Suvoderm here. 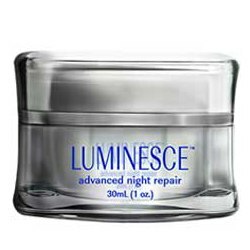 LUMINESCE Advanced Night Repair has become a very popular night time anti-wrinkle cream. The cream contains a variety of powerful antioxidants that have been proven to assist with protecting the skin against free radical damage, which is one of the primary factors that leads to the development of fine lines, wrinkles, crow’s feet and other signs of aging. The manufacturer of LUMINESCE Advanced Night Repair is a company known as Jeunesse, which specializes in numerous advanced skincare products. According to the manufacturer of this anti-wrinkle night cream, the cream has been developed to improve the overall wellbeing of the user’s skin while they are asleep. LUMINESCE Advanced Night Repair contains a blend of vitamins, which include vitamin E, vitamin C, vitamin A and vitamin B. In addition to these vitamins, the cream also contains Cucumber Extracts, Apple Extracts, Watermelon Extracts and Lentil extracts. Note that LUMINESCE Advanced Night Repair also contains hyaluronic acid. These extracts have all been proven to be effective in reducing the effects of aging on the skin through clinical trials. The primary aim of the product is to improve the skin’s hydration, which can help smooth out the skin’s surface and also reduce the visibility of several problems that people tend to complain about when they grow older. Read more about LUMINESCE here. The Revaleskin Night Cream formula contains 1% CoffeeBerry extract, a herb more commonly known as Californian buckthorn. Studies on Coffee Berry show that this herb works mainly as an antioxidant to fight skin aging. The antioxidant protection provided by Revaleskin Night Cream helps protect the skin from environmental damage both day and night. The end result is skin that is softer, moisturized, and wrinkles are significantly reduced. Revaleskin Night Cream is a relatively affordable anti-wrinkle night cream, with a price tag of $66.92 for a 1.7 oz. container. In addition to the inclusion of CoffeeBerry extracts, this night cream also contains additional ingredients such as Dimethicone, Phospholipids, Caprylic-Capric Triglyceride, Vitamin E and Grapefruit Extracts. The majority of these ingredients are also potent antioxidants; thus further adding to the protective function that Revaleskin Night Cream has in store for the user. The product provides an oil-free solution that will not irritate the skin, which means this particular anti-wrinkle night cream is perfect for individuals who suffer from sensitive skin. The product can be purchased directly from the official website that represents the cream – does note that Revaleskin Night Cream is not currently available in local stores. Read more about Recaleskin Night Cream here. Vichy is a reputable manufacturer and seller of skin care products. You will see Vichy skin care being sold in pharmacies and they’re often recommended by dermatologists. The Vichy skincare brand has several products in their range that has been rated as the best on the market. 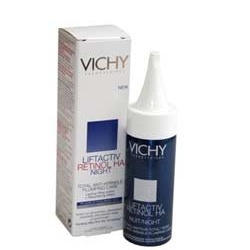 Vichy LiftActive Retinol HA Night Cream is one perfect example of a product that is often rated the best of its kind. The product is readily available in most countries and can be purchased from both offline and online retailers. The product costs around $47.50 at most retailers and comes in a bottle with one ounce of the cream. Vichy LiftActiv Retinol HA Night Cream primarily relies on the ingredient Retinol, a particular natural substance that holds a lot of scientific evidence to back up its efficiency in reducing some of the most common symptoms associated with aging. In addition to Retinol, three other ingredients are also included in this product’s powerful formula. These three ingredients include Hyaluronic Acid, Palm Oil, and Shea Butter. These ingredients assist with increasing the turnover of skin cells, as well as provide a significant enhancement in the production of collagen. Read more about Vichy LiftActiv Retinol HA night Cream here. Lacura Night Cream is one of the most affordable options that people can opt for when they are looking for an effective anti-wrinkle night cream. The product combines a variety of all-natural substances in order to assist with improving the appearance of the user’s skin, but without causing any serious side-effects, such as irritability or skin rashes. The ingredients that this particular night cream utilizes include Aloe Vera Extracts, Retinyl Palmitate, and Co-Enzyme Q10. In addition to the inclusion of these natural extracts, Lacura Night Cream also includes a combination of Vitamin B5, Vitamin F, and Vitamin E to help deliver essential nutrients to the user’s skin. Lacura Night Cream is extremely affordable when compared to the other options on the market. 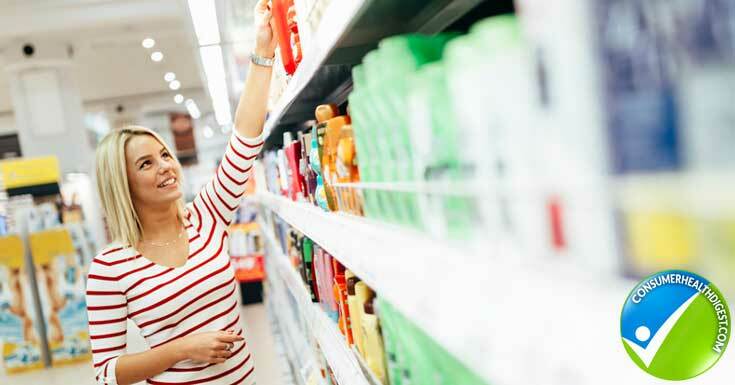 The cream can be obtained for around $13 – the specific price a customer would have to pay for the product will depend on the retailer they buy the product from. This anti-wrinkle night cream can be purchased from various retailers, including some of the most popular online stores. This makes it relatively easy for a person to obtain the product, and with the low price tag, the majority of individuals looking for a night cream to help them fight against the signs of aging would be able to afford this particular product. Read more about Lacura Night Cream here. Abella Mayfair 24-Hour Day and Night Cream is a unique anti-wrinkle night cream, being a product that can be used both in the morning and at night. The cream includes ingredients that are able to assist with the repair of skin cells and offer a boost in collagen product during the night and will help to protect the skin against free radical damage during the day. It should be noted that Abella Mayfair 24-Hour Day and Night Cream is a relatively expensive night cream, with a price tag of $89.95 for a 1oz. a container of the product. You can buy this particular anti-wrinkle night cream from the brand’s official website, as well as from certain online retailers. Abella Mayfair 24-Hour Day and Night Cream contain a variety of ingredients that have been proven to effectively reduce wrinkles and other signs of aging. Some of the most important ingredients in this product include Coconut Oil, Aloe Vera Extracts, Vitamin B3 and Shea Butter. The combination will provide several benefits to the skin, including a significant improvement in hydration and moisture. Furthermore, the product will also help to prevent new wrinkles from developing; thus making it a perfect preventative option as well. It should be noted that the inclusion of Coconut Oil makes this product potentially inappropriate for individuals who have oily skin. Read more about Abella Mayfair 24-hour Day and Night Cream here. This product comes in an elegant-looking jar containing powerful anti-aging ingredients. The company relies on botanicals to provide most anti-aging benefits, but they include other pharmaceutical-grade ingredients as well. The product has been developed based on several scientific studies and a team of dermatologists is behind the formula introduced by this anti-wrinkle night cream. First Botany Night Cream contains ingredients such as Retinol, which is one of the most popular ingredients in anti-aging creams and also one of the natural substances with the largest number of research studies to prove its effectiveness. Other ingredients include Echinacea Stem Cells and Chronocyclin. 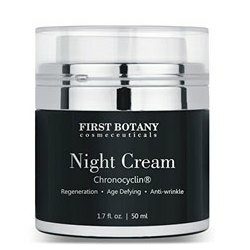 First Botany Night Cream is another very affordable cream that can be purchased at numerous retailers, including the official website that represents this anti-wrinkle night cream. The product can be purchased for the price of $15.95 at most retailers that stock the product. The cream promises to leave the user’s skin looking younger and more radiant, while also feeling soft and smooth. It should be noted that First Botany, the manufacturer of this product, has numerous products in their skincare range, and all of their products are affordable. This product can ideally be combined with a night-time eye cream from the same manufacturer for better results. Read more about First Botany Night Cream here. A cream manufactured by one of the leading skin care brands in the world is bound to be great. Neutrogena is an affordable skin care brand making high-quality skin care for quite a long time. The company has become reputable in the skin care industry and has quite a lot of different products, each targeting specific issues that a customer may be struggling with. This particular night cream is lightweight and will not wear the skin down. It is probably one of the most affordable anti-wrinkle night creams you would be able to find on the market, with the average price of the product being $11.97. The good thing about this product being from Neutrogena is the fact that products from this brand can be found in most pharmacies and even some local shopping centers. This product is also readily available on Amazon. 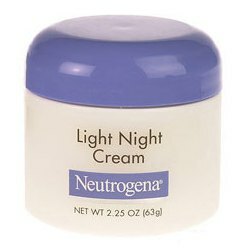 The Neutrogena Light Night Cream utilizes a variety of effective ingredients in its formula, including Dimethicone, Sesame Seed Oil, Panthenol, and Carbomer. These ingredients make the product both effective and safe since no clinical trials have reported significant side-effects when any of these natural extracts have been tested. It is important to ensure the cream stays on the skin for at least eight hours in order to benefit from all of its features. The ingredients utilized in this anti-wrinkle night cream primarily helps to increase collagen and peptide levels in the skin, which will provide the user with potent anti-aging effects. Read more about Neutrogena Light Night Cream here. Organyc Anti-Aging Night Cream is a product that is very similar to the Neutrogena Light Night Cream, which we have mentioned in the previous entry. The product contains very similar ingredients and provides similar claims regarding the benefits that the user should be able to experience with the continued use of this night cream. One thing that sets these two products apart would be their prices – while the Neutrogena Light Night Cream tend to cost around $11.97 at most retailers, Organyc Anti-Aging Night Cream costs around $35. The fact that these two products are very similar may cause a person to rather opt for the cheaper option from Neutrogena, but it should be noted that Organyc is a company that is respected in the skincare industry and they tend to take special care to ensure the ingredients they use in their products are of the highest quality. Similar to the Neutrogena anti-wrinkle night cream, this cream also contains Sesame Seed Oil, Panthenol, and Dimethicone. The product can be purchased from the brand’s official website, as well as from some third-party stores like Amazon.com. Read more about Organyc Anti-Aging Night Cream here. Earth Science’s Apricot Intensive Night Cream is one of the most popular product from the Earth Science skincare range. This product is primarily promoted to individuals who are suffering signs of aging due to excessive exposure to the sun, but the product is also useful for individuals who are experiencing wrinkles and other symptoms of aging due to other potential causes. The primary ingredient utilized in Apricot Intensive Night Cream from Earth Science is Apricot Oil extracts. This ingredient is extremely rich in Nicotinamide Adenine Dinucleotide, also known as NAD. NAD is a coenzyme that is naturally found in the body’s skin cells. 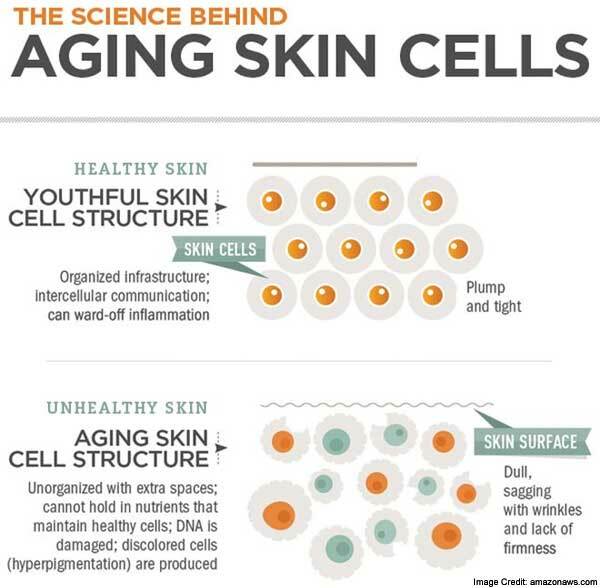 When levels of these enzymes decline, then signs of aging may appear. While Apricot Oil extract is the primary ingredient in this product, other ingredients have also been included in the product’s formula. These ingredients include Sterols extracted from plant-based sources, as well as Phytelenes. Both of these additional ingredients also help to improve the overall well-being of the skin. All of the ingredients are of natural origins and the manufacturer claims that the user should not experience any type of side-effects while using their anti-wrinkle night cream. Read more about Earth Science Apricot Intensive Night Cream here. Anti-wrinkle creams usually contain compounds that boost collagen production. These compounds are mostly peptides – amino acids that are the building blocks of collagen in the skin. Collagen is the most abundantly found protein in the human body that provides strength and structure. Declining levels of this amino acid in the skin lead to wrinkling and sagging. Besides boosting collagen production, anti-wrinkle night creams also nourish the skin and provide it with moisture. Dry skin is more likely to wrinkle as is skin depleted in key nutrients. Some anti-wrinkle night creams work by slowing down the breakdown of collagen. a study published in the British Journal of Dermatology found that applying a night cream containing peptides and vitamins decreased the appearance of wrinkles. The main reason why these creams are best applied at night is that studies show that skin permeability and cell turnover was greatest during nighttime. Besides this, there is no danger of UV rays degrading some of the nourishing ingredients in night creams in the absence of sunlight. It is vital for a person to know how they should use an anti-wrinkle night cream in order to experience the expected results. For an anti-wrinkle night cream to work effectively, it is important to implement it into your existing nighttime skincare routine. Start by thoroughly cleansing your face with a facial cleanser that contains non-invasive ingredients. You may also wish to use a toner on your face after cleansing. The night cream should ideally be applied to your face once you have thoroughly cleaned and dried your skin to allow for the maximum level of benefits. The night cream should be massaged gently into the facial skin and then left on during the night – in the morning, cleanse your face and follow the cleansing with a day cream that is equipped with a sunscreen factor. 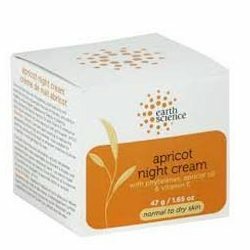 When purchasing a night cream, it is best to look for true and tried products. Although new brands are emerging almost every month, it is always best to stick to reliable companies with a long history in the skin care industry. Reading the label and doing research prior to buying a night cream is also important. Make sure that the active anti-aging compounds such as peptides are at the top of the ingredients list. Also, choose a night cream for your particular skin type to avoid developing other skin issues while you’re tackling wrinkles. Oil skin types require different ingredients than do dry skin types. Those with darker skin tones have different skin concerns than those with fair skin. So, it’s important to consider these factors as well when looking for an anti-wrinkle cream to wear during the night. Although creams can only do so much for our skin, we still can’t overlook the benefits they can provide to our skin to fight wrinkles and other signs of aging. Although using regular sun protection and avoiding unhealthy habits is the best way to fight skin aging, skin creams containing the right ingredients can also help. And when it comes to wrinkle-reduction, night creams are known to work best. Make sure to read the reviews of the top 10 night creams of 2019 here and you’ll find choosing a perfect night cream for yourself much easier.